appearance and long term protection from the elements. 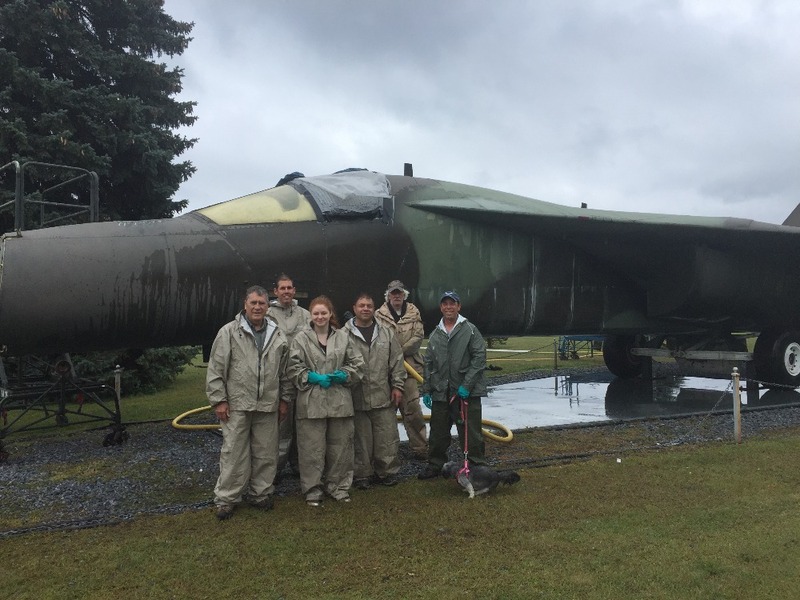 The FB-111A S/N 68-0286 has already had extensive work done by a dedicated group of volunteers. There is still some more detail work to do along with continuing annual upkeep. 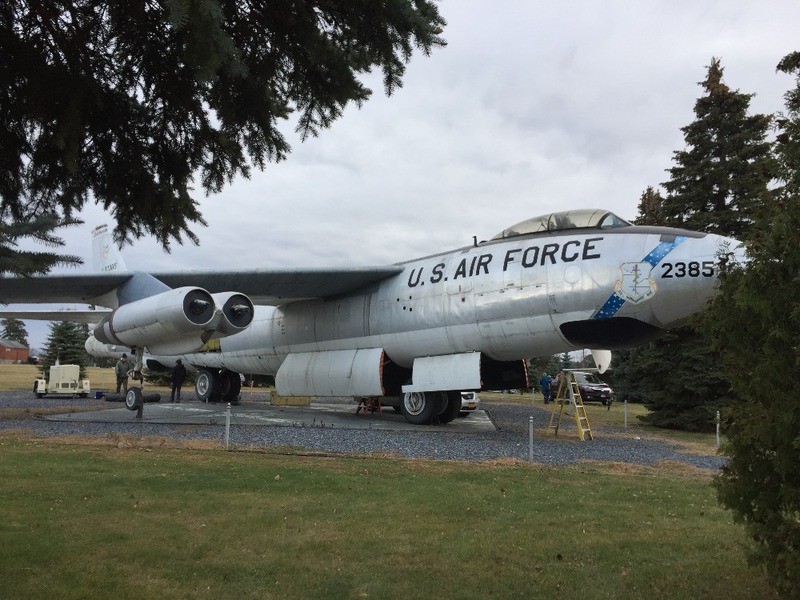 The "Pride of the Adirondacks" B-47 has been a focal point near the entrance to the former Plattsburgh Air Force Base since 1966. Many people fondly remember Santa Claus sitting on top during the Christmas season. 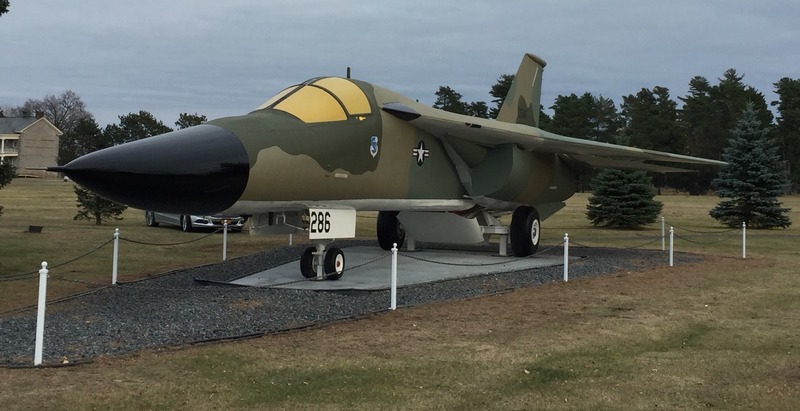 North Country weather has not been kind to the iconic cold war airplane. 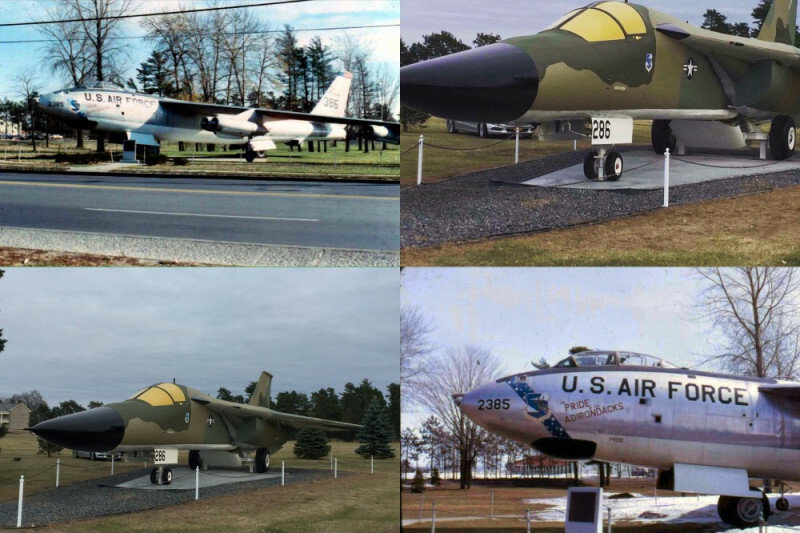 There are many areas needing extensive repair and repainting. Some work has already begun and will continue again as weather permits. As you can imagine this type of work will take a lot of time, manpower, and especially money to do the job right and ensure it will keep looking great for years to come. 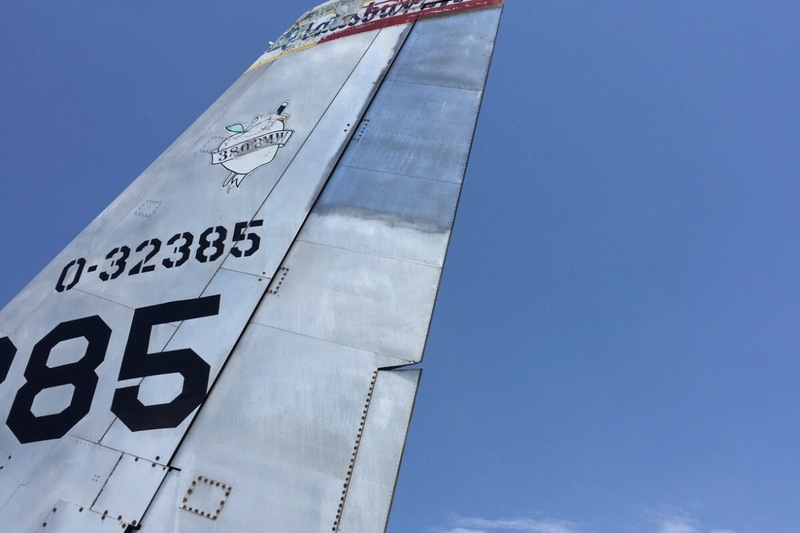 The goal is to raise funds necessary to repair and repaint damaged or corroded areas and for future upkeep. 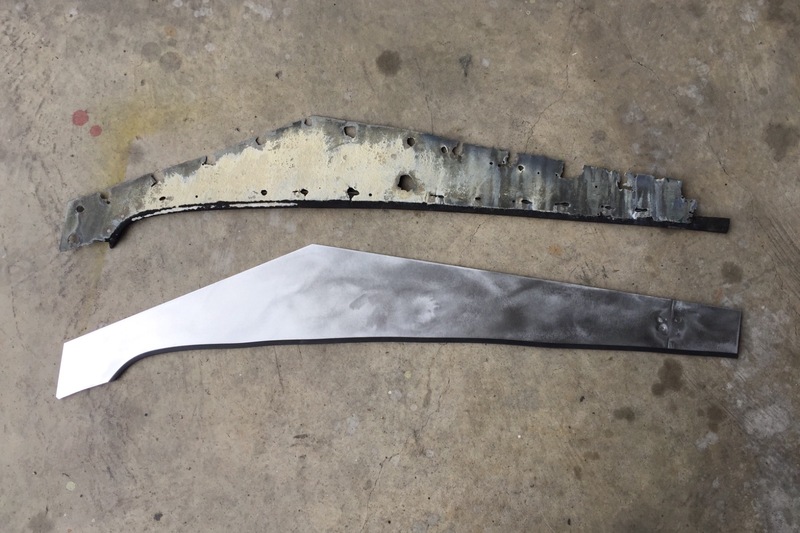 All of the unpainted aluminum parts of the airframe need to be polished and protected from the elements. Also, all logos and decals will need to be reproduced and replaced to look as much like original as possible. 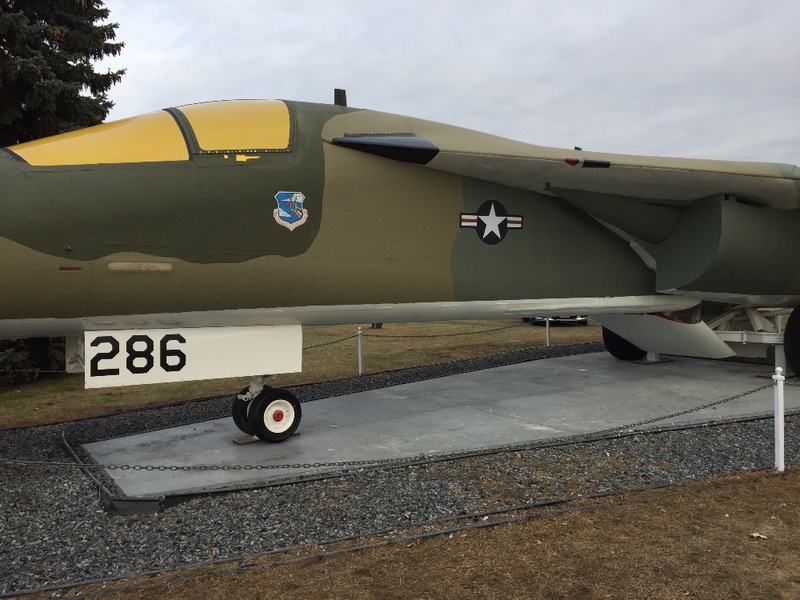 Every little bit helps so please help us restore the pride and history of these old Strategic Air Command aircraft that lived up to the motto"Peace is Our Profession". Work has continued in the nice summer weather. 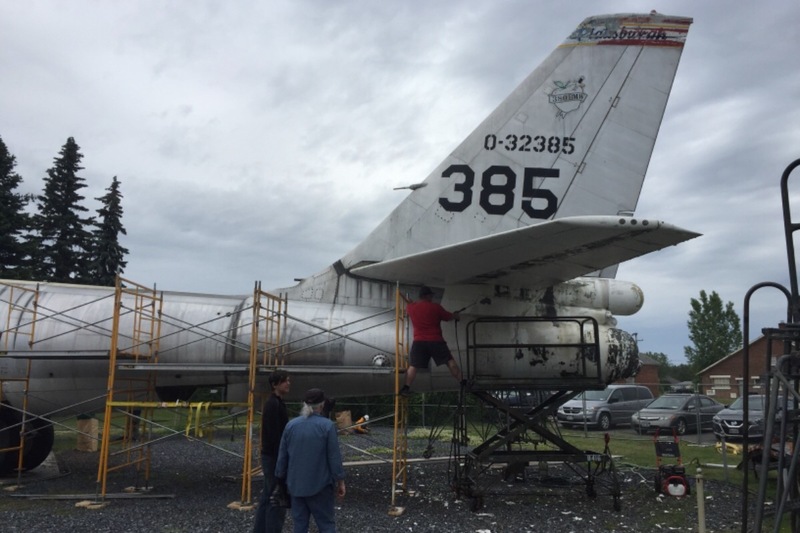 A small group of volunteers sand and polish in the heat and humidity each weekend. 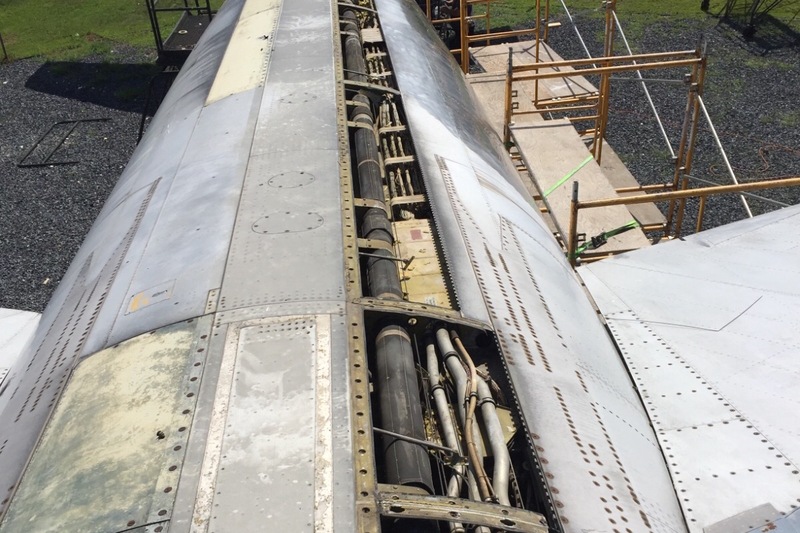 More funds are needed to purchase sheets of aluminum to replace corroded magnesium panels all over the aircraft. Work is progressing steadily as more volunteers help in the nice summer weather. Fence and scaffolding are erected. 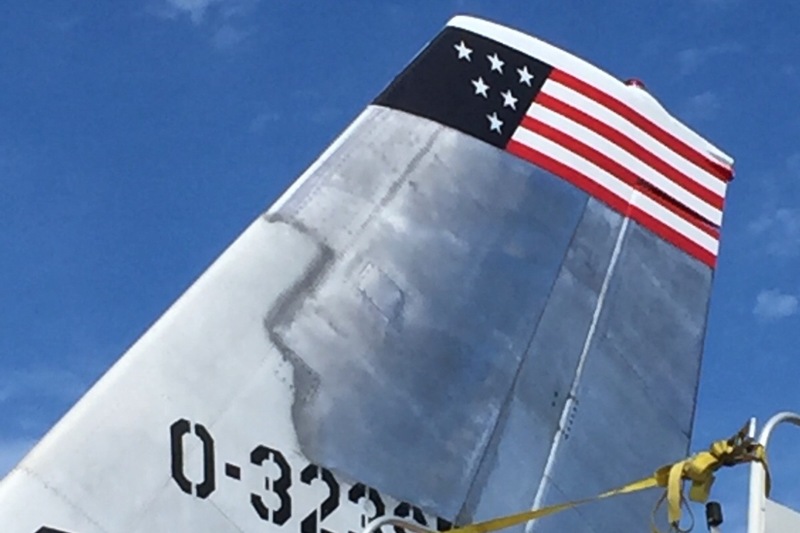 Tail surfaces are power washed, acid washed, and polishing has begun. Lots more to do and all donations are greatly appreciated! Special thanks to Signs Now for the accurate reproduction decals for the restoration. 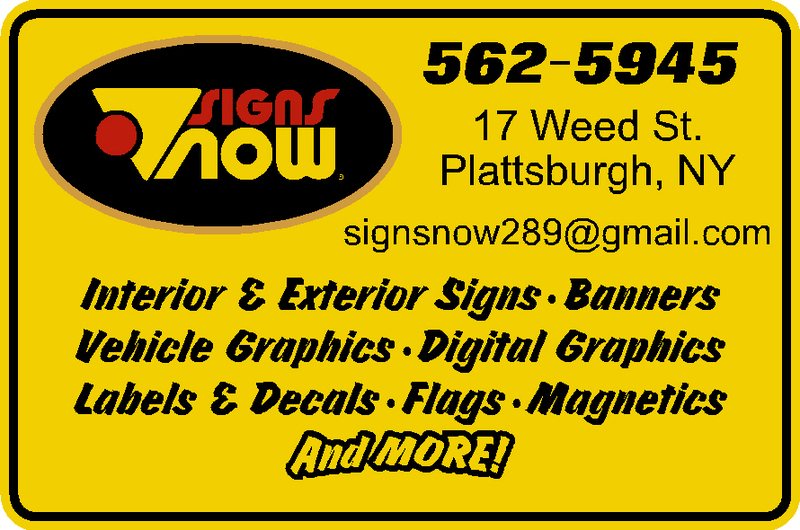 Thank You to Signs Now for the decals. Reproduction decals by Signs Now. 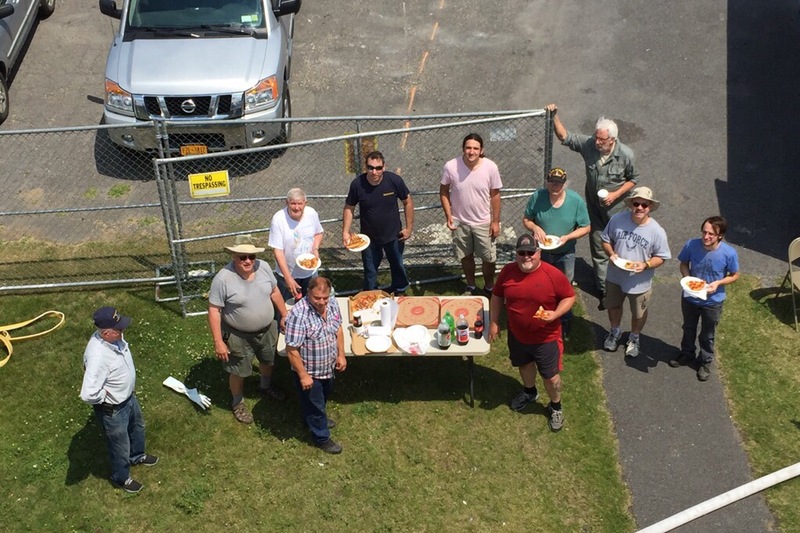 Work will continue as soon as the weather allows to bring back the Pride of the Adirondacks. We are asking for help raising the funds needed for a quality restoration and continued upkeep. 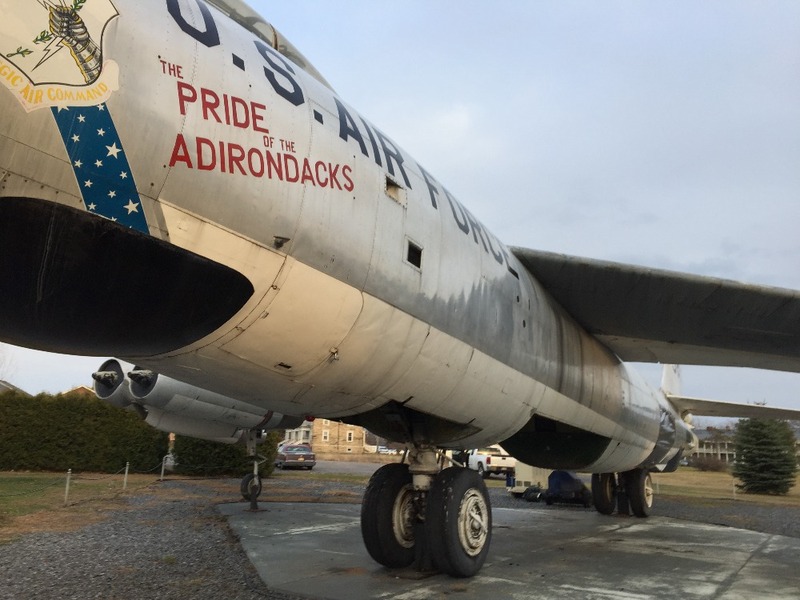 B-47 the "Pride of the Adirondacks"